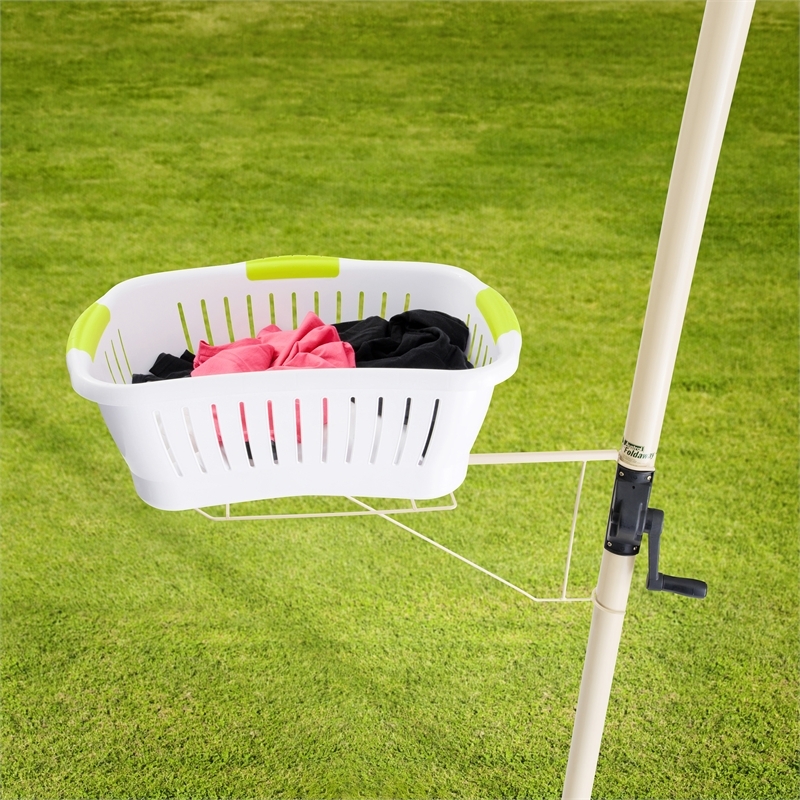 Basket and column not included. 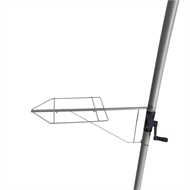 The EzyRest hooks easily around the column of most popular brands of FoldAway and Fixed Rotary Clothes Hoists. 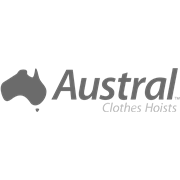 The Austral EzyRest Basket Holder ensures your washing will always be at a comfortable height. 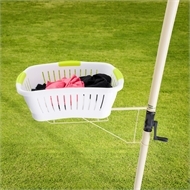 No more bending over to retrieve washing from a clothes basket on the ground! 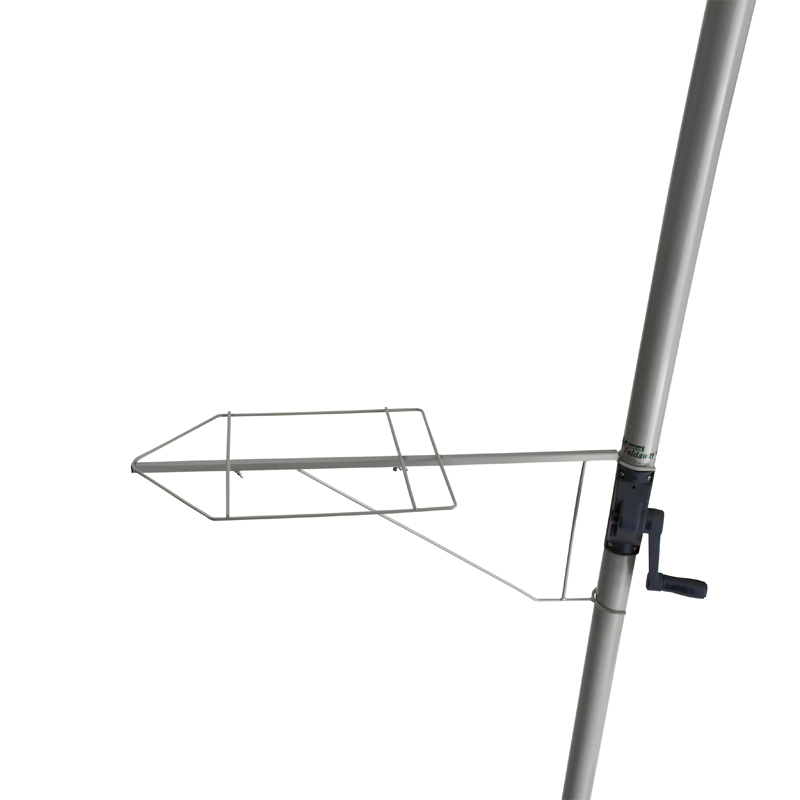 The Hook and Basket Rest are easily assembled and will hook around most Rotary Columns.